Does tech need another Steve Jobs? 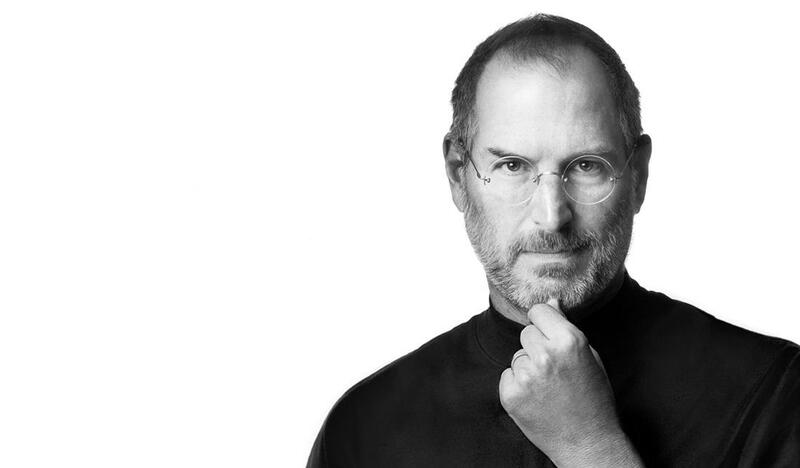 Exactly one year ago today, Apple co-founder Steve Jobs left this world for the next. And while not much has changed — we still have new iPhones, iPads, and Macs; Apple remains the world’s most-valuable company — a palpable void hovers on the horizon of the consumer technology landscape he did so much to cultivate. This void is especially present for Apple, which has gone through an identity crisis of sorts in the past few weeks, with an iPhone 5 launch that lacked that “one more thing” magic and the dreaded Maps app fiasco that arrived with iOS 6. In this short time, Apple without Jobs has come into focus: It’s less polished, more humble, but still dominant. Hints of this new, Tim Cook-run Apple appeared to the public throughout the past 12 months — the EPEAT flip-flop, the porous iPhone 5 supply chain — but until Cook’s apology over Maps, we couldn’t be quite sure that a fundamental shift had taken place. Now we know: The post-Jobs era has officially arrived. The vanished ambiguity has renewed our collective search for the “next Steve Jobs.” Inevitably, names like Jeff Bezos of Amazon, Larry Page and Sergey Brin of Google, Mark Zuckerberg of Facebook, Elon Musk of Tesla Motors and SpaceX, and even Tim Cook make the list. We debate over the ins and outs of their abilities to “think differently;” to create and manage teams that are capable of building “great” things; to see areas of our lives that can be enhanced by technology, and then have the je ne sais quoi to smoothly and effectively pull it all off. The reason we search for a new Jobs is not simply because it’s fun to speculate and analyze the other tech CEOs before us (though that’s part of it) — it’s because American industry is looking for a new leader. In Jobs, we had a remarkable person who ushered in the PC age with Apple II and the post-PC age with the iPhone and iPad. He changed the animated movie business with Pixar, the music industry with iTunes and the iPod, and the software industry with the App Store. And he created a new kind of vocabulary that made the public, which previously kept its tech at arms length, understand and crave it with a convert’s zeal. Had he lived a bit longer, it seems likely that Jobs would have changed the television industry, as well — a development that appears as far off as ever without his unique ability to force transformations on stubborn incumbent industries. Yet, those who have resisted the pull of Jobs’ Apple make an increasingly compelling case for the benefits of doing so. His penchant for control has led to the creation of technology’s most colossal walled garden. Inside its vast confines, consumers have largely abandoned the idea that the technology we have in our pockets and on our desks is our own, to be tinkered with and customized and made into something altogether new. We’ve become sheep-like and complacent in our powerlessness to a corporation that makes all the rules — rules that Jobs himself invented. Both sides are true, of course. Consumer technology advanced at an incredible rate over the past two decades, thanks to the contributions of Apple under Jobs. The ever-popular iOS and Mac devices we use remain the benchmark of usability and design. Conversely, our relationship with technology and the companies who create it is a binding one. And corporate giants like Amazon, with its Kindle ecosystem, and Microsoft, with its forthcoming Windows Phone 8 lineup, and all of Facebook, are actively moving to lengthen those chains in an attempt to keep us tethered. Because of these contrasting truths, it is important for us as consumers of technology to ask: Do we really need another Steve Jobs? Or is the technology industry better off without a leader? Admittedly, this is an impossible riddle. We cannot predict the future, and it can go in any direction. Without a clear leader, the many capable minds and companies out there are more free to try new things without having to compete with a status quo. Such a democratic environment allows for a large set of unique ideas to break through more easily. And, in theory at least, this can lead to rapid advancement. The contrasting scenario is just as likely: a level playing field leads us in circles. We keep moving, but never get anywhere new. Without a leader decreeing a clear winner, new products compete with an endless string of equals. Development becomes a center-less brawl that bogs down further advancement. And that’s a world that looks much like Apple did before Jobs made his triumphant return, streamlined the company’s product lineup, and turned Apple into the powerhouse it is today. Reality is a mixture of both. Looking back, we can see that the technology world moves in a cycle. The rise of Apple under Jobs defined one part of that cycle, one in which the primary vein of innovation led back to a single, pumping heart. The loss of Jobs began the next part of the cycle, which we are in today — a phase where the tech industry lacks an obvious center, but no longer really needs one to thrive. If history tells us anything, this new post-Jobs era will lead to a variety of exciting, smaller advancements. We will have more choices and less homogeny among the devices we adopt and rely upon. But eventually, the pool of consumer technology will become muddled and stagnant. We will all be chasing our tails through the muck. And then, someone like Jobs must step up, push through this mess, and guide us down a new path. We will need a new Steve Jobs. But for now, we must wait. Will the Padfone 2 use Qualcomm's quad-core Snapdragon S4 Pro chip?